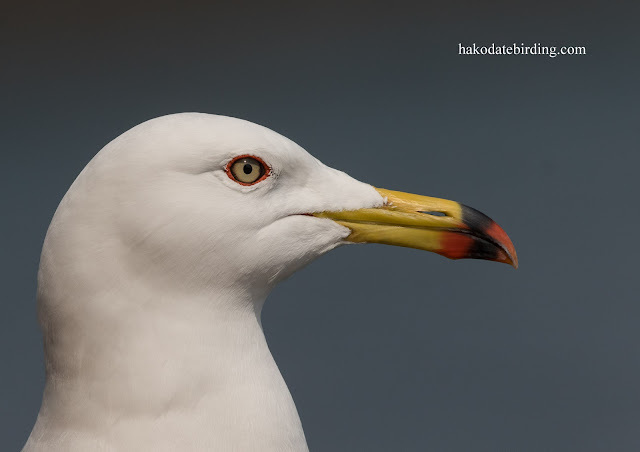 But not this year, today we drove out west to Esaahi where the above Black Tailed Gull was one of the few birds to pose for the camera. the first Ospreys of the year were around at various places, there was a big flock of Rook on the west coast and we saw a couple of Asian Rosy Finch at Esashi too. A very nice portrait, Stu. Maybe all the visitors arriving on the new bullet train have scared the birds away. I was thinking of visiting sometime via ferry from Niigata but now I can enjoy the new train. Which to choose? We seem to be wobbling a bit here between winter and spring too. But spring is just around the corner! Great portrait. We're stuck in some very dull weather to.